This is a wonderful image from an 1883 antique almanack for the month of September. And, it's great that the days match up for the current year of 2012. 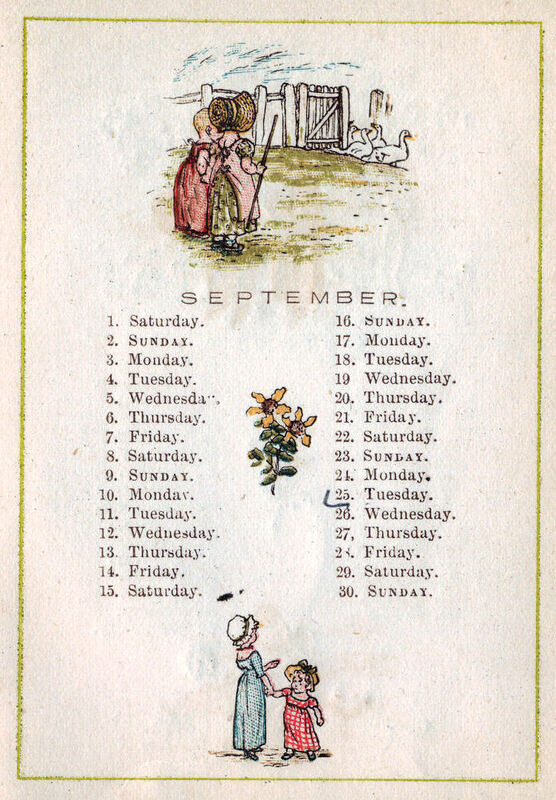 So, if you've got any birthdays to celebrate next month or any other special September projects, this piece of antique clip art is perfect! I hope you enjoy!